Our all-new Drive-E powertrains combine the low-fuel consumption and emissions of a four-cylinder engine with the performance of a six or eight-cylinder. The result is a smooth, powerful ride - with fewer stops at the pump. With our Twin Engine plug-in hybrid (not available in the US), your driving experience is your choice. Easily switch between driving modes to choose the power you need. Power mode offers sporty, responsive driving while keeping your car’s fuel consumption and emissions to a minimum. 6. 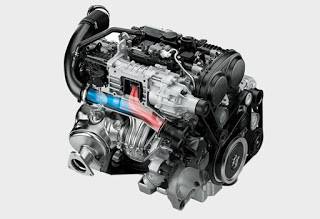 What technology did Volvo use to create the power increase found in Drive-E engines? 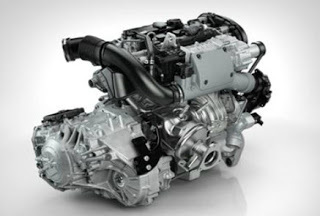 Volvo's Drive-E engines benefit from several core technologies to provide efficient power and exhilarating performance. Drive-E engines use Turbo charger, Supercharger and Direct Injection. 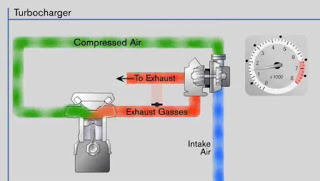 A turbo charger is powered by the engines exhaust gases which it compresses and forces into the engine. 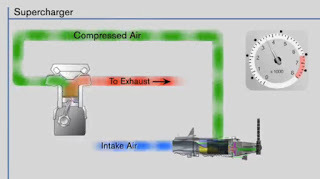 When the compressed air is combined with additional fuel, the engine creates more power. A supercharger is belt-driven by the engine and also compresses air and forces it into the engine. When combined with additional fuel the engine creates more power. Gasoline direct injection sprays fuel directly into the combustion chamber, not the manifold. The engine computer the makes sure the fuel is burned precisely when it is needed. 7. 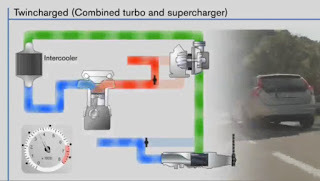 How does the Turbo work in combination with the supercharger? Turbo's kick in at higher rpm's while supercharger's work best at low rpm so the combination of the two allows for a quick, powerful takeoff at low rpm and then the turbo charger kicks in for higher rpm power. The supercharger is great for quick acceleration from a stop which can be helpful getting across busy streets while the turbo charger is great for passing other cars when needed. 8. How does the 8 speed automatic transmission help with fuel economy? The eight speed Volvo transmission helps engine performance yet increases fuel economy. With the eight speed automatic transmission Volvo drivers will always be in the right gear to make the best use of the engines performance and to get the best fuel economy. Volvo has worked hard to make sure the new transmission is as efficient as possible but also providing the right gear at the right time depending on the customer's driving style. This is yet another no compromise solution from Volvo. 9. What are some things Volvo owners need to know about the Drive-E transmission? The oil level is checked with an electronic sensor in the engine, which then displays the oil level information in the instrument panel. There is no dipstick. Another item you will need to know is that the vehicle is not stalling at stopsigns. It's the auto start/stop feature in action. The auto start/stop feature automatically shuts down and restarts the engine to reduce the amount of time the engine spends idling, which improves fuel economy and reduces emissions. Drive E represents innovative technologies providing more power, more efficiency, greater driver enjoyment while respecting the environment. Volvo customers will experience a more efficient engine without compromising performance.